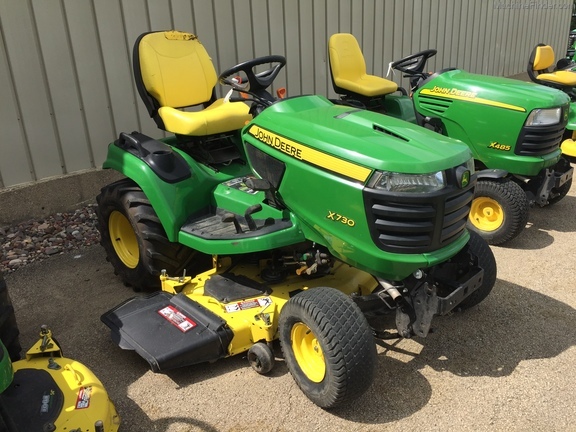 Description: 2018 JOHN DEERE X730, 60" HC AUTO CONNECT DECK, 25.5 LIQUID COOLED KAW ENGINE, EFI, P/S, TILT WHEEL, HYD DECK LIFT, DIFF LOCK, HAS MULCH CONTROL KIT INSTALLED, AND FRONT PTO KIT AND DRIVE SHAFT INSTALLED. WARRANTY UNTIL 05/30/2022. 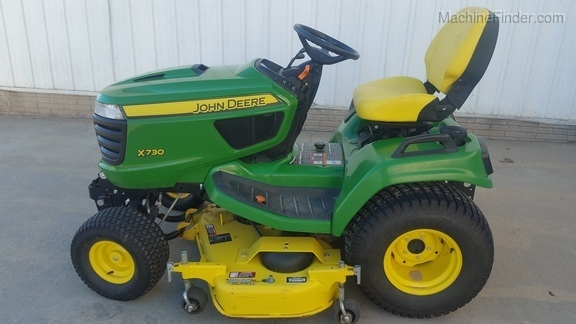 Description: 25.5 HP, V-Twin, Liquid-Cooled, Kawasaki Engine, EFI, Hydro Trans, Power Steering, Diff Lock, Tilt Wheel, Power Deck Lift, 54HC Drive-Over/Shaft-Drive Deck, No A/C - JD Original Warr to 04-07-2021 or Max 700 Hrs. . 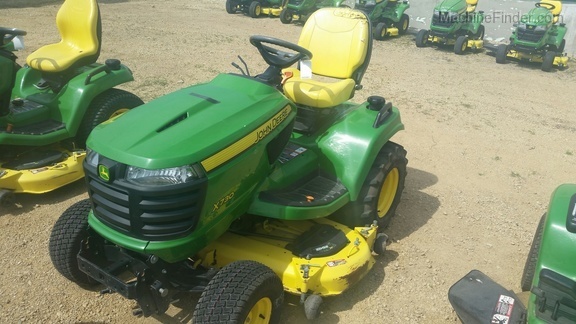 Description: 54" deck, p/s, diff lock, 3pt hitch. 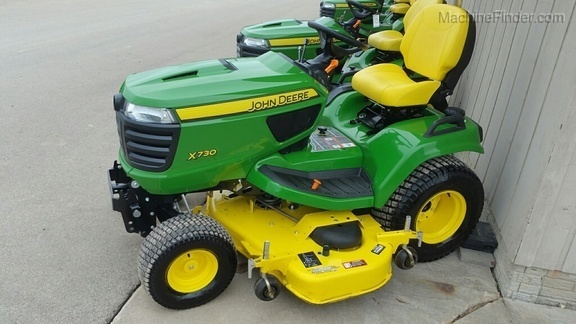 Description: 1255 HOURS, 25.5 EFI HP,BAR TIRES, 54 EDGE DECK, AVERAGE COND.